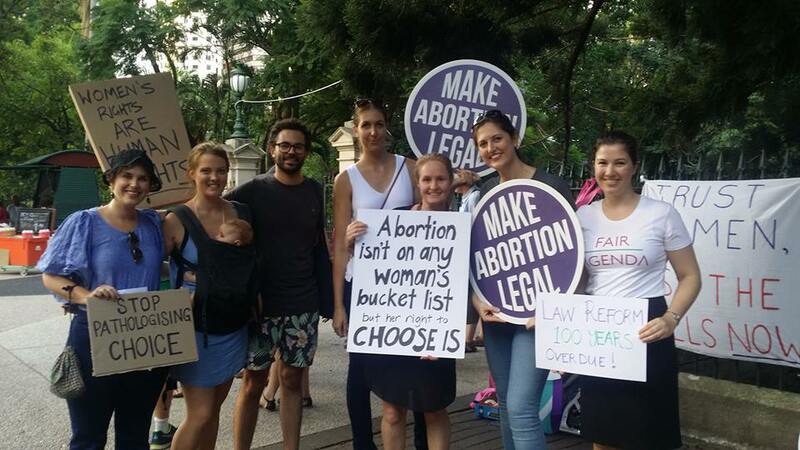 Fair Agenda: Supporting pro-choice rights in Queensland! ''Like most people, I didn’t realise abortion is still a crime in some parts of our country. Earlier this year I was horrified to learn that women in need are being turned away from Queensland hospitals, and put through degrading processes and financial distress to access the reproductive healthcare they need. Like most people, I know women who have needed this healthcare. My friends were lucky enough to live in a big city where access wasn’t an issue. I’m horrified to think of what they would have been put through if they’d been trying to access that help in Queensland. Every day I read testimonies about the devastating impact of Queensland’s archaic abortion laws. Including the stories of women like Anna. Anna was battling a life-threatening mental illness while homeless. Her illness and safety were being worsened by her pregnancy. As if that wasn’t enough, after mustering up the courage to seek help at her local hospital, they refused to provide her with the abortion she needed. Right now there’s an opportunity to win change for women like Anna. Later this month Queenslanders head to the ballot box to elect their MPs. Those MPs will get to decide whether or not Queensland brings its abortion laws into the 21st century. As it stands, there aren't enough pro-choice MPs in parliament to pass the reforms which women like Anna desperately need. However, there are enough pro-choice candidates in marginal seats to tip us into a pro-choice majority at this election. That’s why Fair Agenda’s campaign to help women in Queensland regain control of their bodies is so important.